Get ready for battle with the Lum-Tec Combat B16! this is a rugged PVD coated steel watch with excellent lume. We love it´s military feel, it´s minute detailing and robust construction. 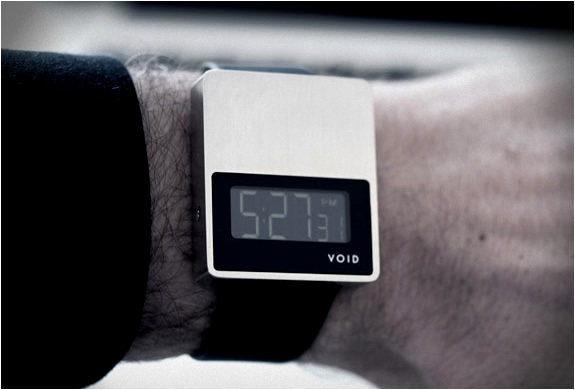 The watch design is modern and straight forward, no unnecessary clutter, just good quality materials and components put together. A solid and exceptionally well-made watch. 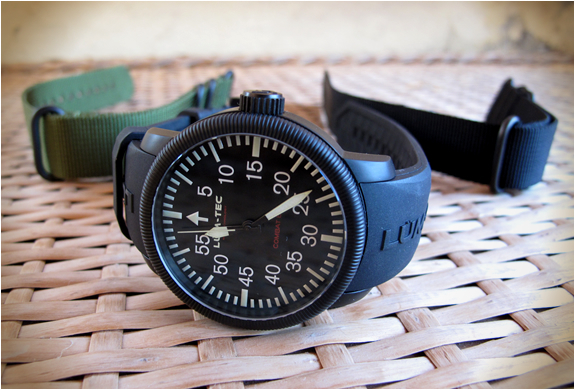 We had seen Lum-Tec watches on the internet, but when we first unboxed the Combat B16 and held it, we could immediately tell that the photos we´d seen didn´t do the watch justice at all. The Combat B16 comes in a fancy rugged wooden box, it definitely protects it during shipping, inside are: warranty card that states the date of purchase, serial number of the watch, a authenticity certificate and user manual. The first feeling on the wrist was awesome, the rubber strap is extremely comfortable while being sturdy at the same time. The strap fits tightly against the case, leaving no gaps. The B16 is powered by a Miyota Japan 9015 28,800BPH automatic movement, it is accurate and very silent, unlike many automatic watches. The steel case measures 43 mm x 12 mm making it the perfect size for an average man´s wrist, it is PVD coated and has a thick sapphire crystal with anti-glare layer on both sides and a master finishing touch, a Lum-Tec trademark screw-down-crown, helping to ensure 660 ft water-resistance. The B16 features of course excellent lume(the brand name gives it away maybe? 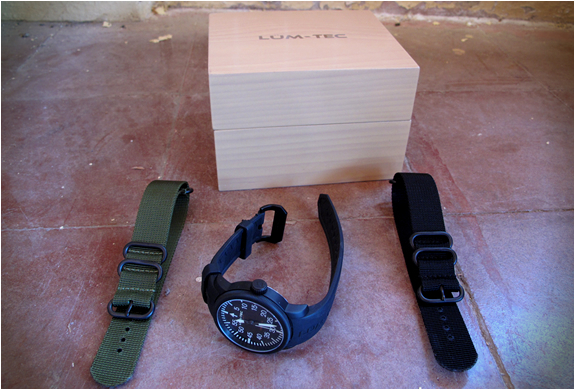 ), every Lum-Tec watch features their exclusive MDV Technology™ (Maximum Darkness Visibility). This is a special 8 layer application of ultra bright glowing Super-Luminova photo-luminescent material. MDV hands and dials are extremely visible in all light conditions. The result, are some of the brightest watch dials and hands in the industry. Trust us, this thing lights up as a torch in the dark without looking grainy. The watch comes with 3 straps, a rubber strap and two nato straps, military green and black. Allowing you to decide witch fits the character of the watch better. Overall, this is one hell of a great watch, sporty, extremely rugged and a very good value for your money. Designed for someone that wants a no-nonsense, good quality watch that does exactly what watches are expected to do...tell the time! 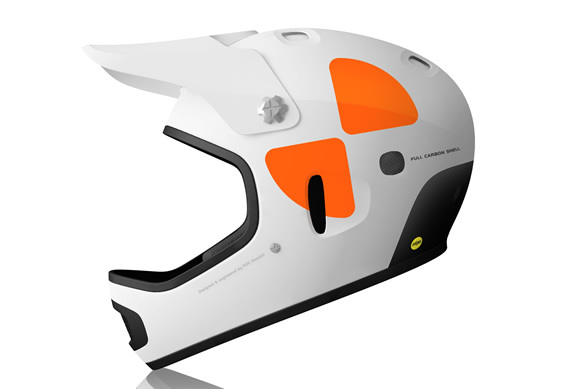 Check out other models available on Lum-Tec´s website, or follow them on Facebook and Twitter. 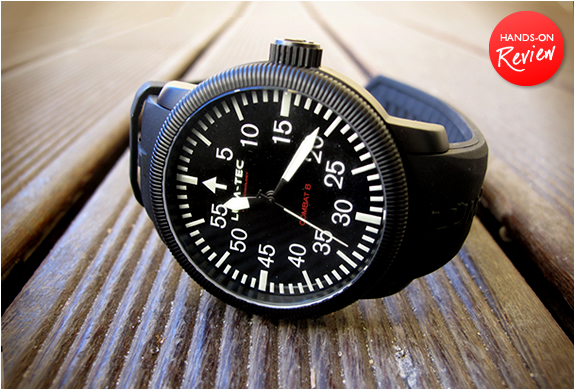 Combat B16 featuring the all new super precision 28.800BPH Miyota 9015 movement. 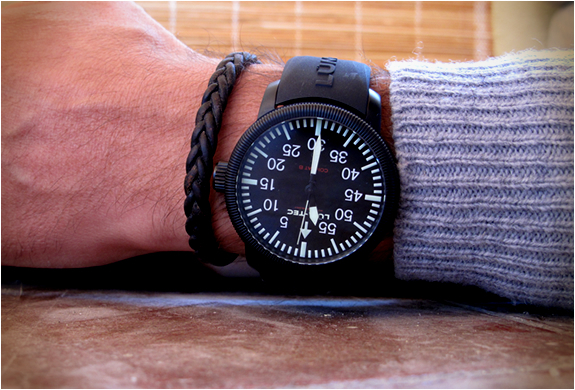 Includes 2 top grade military nato straps and a molded rubber strap. 200 meters/660 ft. water resistance. - 43mm width excluding crown. - 316L bead blasted Stainless Steel with black titanium carbide PVD hard coating. - 200 meters/660 ft. water resistance. - Miyota Japan 9015 28,800BPH automatic movement with handwinding and hack feature. - Double side clear anti-reflective coating. - Screw-lock crown with double diamond sealing system. 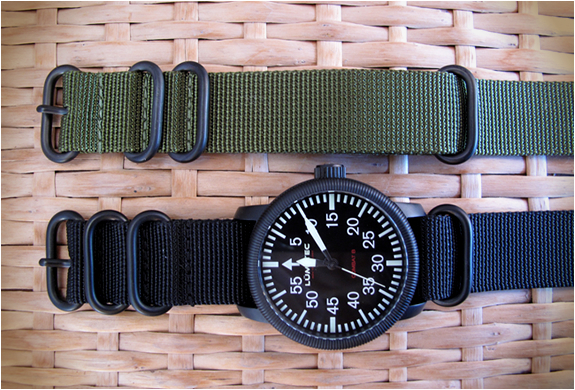 - 2 heavy guage nato nylon straps included (green and black). 22/22 size. - Molded rubber strap included. 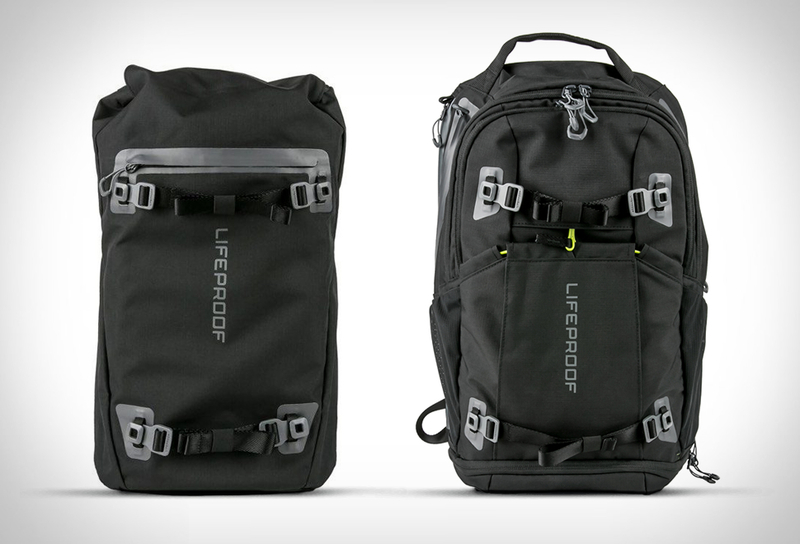 - Limited numbered series of 888. - Free lifetime timing adjustments .